Used electric bike or a new pair? Dealership or Online? After you've zeroed on the kind of electric bicycle you want, and you also have a list of preferable brands, you are faced with the issue of where to buy your new electric bicycle. First of all, you've to decide whether you want a new pair or maybe you want to save money and get a used electric bike. Moreover, if you've decided to acquire a new pair of electric bicycle, should you buy it from an online store, a local store or maybe from a big box retailer? 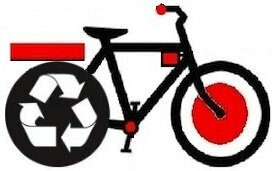 New or used electric bike? If you want to save some money and get a decent bike, you should consider buying a used e-bike. 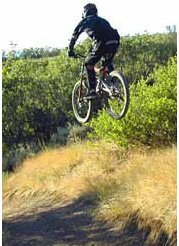 It may be the best option to get a good quality e-bike if you are on a tight budget. Sometimes, it is more knowledge-wise to purchase a great used e-bike then to buy a new cheap e-bike. But it's not straight-forward of course and you should be cautious. You should aim to buy a used electric bike which is still under warranty. If the battery warranty is over, you should be prepared that maybe in the near future, you will have to get a new one. The battery is the most expensive part of all the electric parts, so do your research and find out what is the cost of a battery replacement prior to you purchase. Do your research before buying. You can start by reading the reviews, the best electric bike page and searching for more information in the forums. 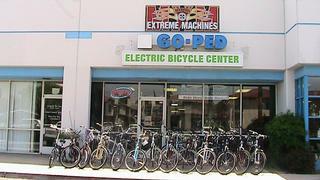 There are a couple of sources for used electric bikes for sale, such as classified ads, online boards, test ride. If possible, take the e-bike for a ride for more then a few minutes. Do not be in a rash, if the seller pressing you to close the deal, I suggest you to say - no deal, and move to the next one. There is a chance that s/he is trying to hide something from you. If you don't find a good enough used electric bike and you can't afford buying a new electric bike from good quality, you have a 3rd alternative which is to use a sharing service which is becoming available in more & more cities all over the world. And from the seller point of view - in case you want to sell your used electric bike, you can expect to get a good resale value for it (if you maintained it properly). A high quality motor, controller and console don't degrade in their value so much over the years. It is just the battery which degrades in it's price heavily during the years. And except this, all the other parts are just like in any other conventional bicycle. Buying online sounds like a great way to save money and time, many of us have got used to buy online almost everything. 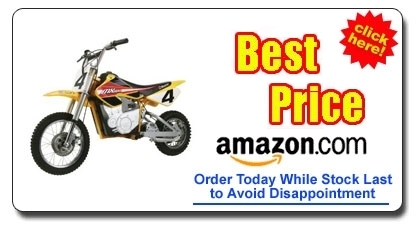 But it is not always the best idea to buy an electric bicycle online. Sometimes, great looking deals can turn out to be misleading. Instead of this great e-bike with fabulous specifications, you will get a poor quality e-bike which is hardly functional and unable to perform as advertised. Buying e-bikes from the Far East (China generally) is quite popular, click here to read more about the chinese market and about the the pitfalls to avoid. If you want to be sure, behind any doubt, that you'll receive a certified, quality e-bike with a valuable and guaranteed warranty do not buy online. Instead, buy directly from a bricks & mortar dealer. This ensures that your new e-bike will be properly maintained, inspected, tuned and delivered to you in proper condition. You will also hopefully get the opportunity to discuss any of your questions with the shop's trained and professional team, test-ride a variety of e-bikes and find the one that fit best for your needs. There are top of the line e-bikes that can be purchased almost solely through their online store, sometimes their dealership stores are not close to you. In such case, buy online.